Former Asante Kotoko striker Dauda Mohammed is likely to play his first official game for Dutch side Vitesse Arnhem when they play Groningen on Sunday. This comes after the attacker got his work permit on Friday to enable him play in the Dutch top-flight league. The 20-year-old joined Dutch side Vitesse Arnhem last week on loan from Belgian giants Anderlecht until the end of the season but his debut was delayed because of work permit problems. But the problem was solved on Friday when Vitesse met all the requirements that allowed the immigration authorities to give him the necessary documents to enable him play. The 20-year-old Ghanaian can play in the attack in all positions and he could play his first game for the side on Sunday when they take on Groningen. He scored 25 goals for the youth side of Anderlecht and could only make five appearances with the first team. With first opportunities still limited, Mohammed opted to go on loan to continue with his development in Europe. 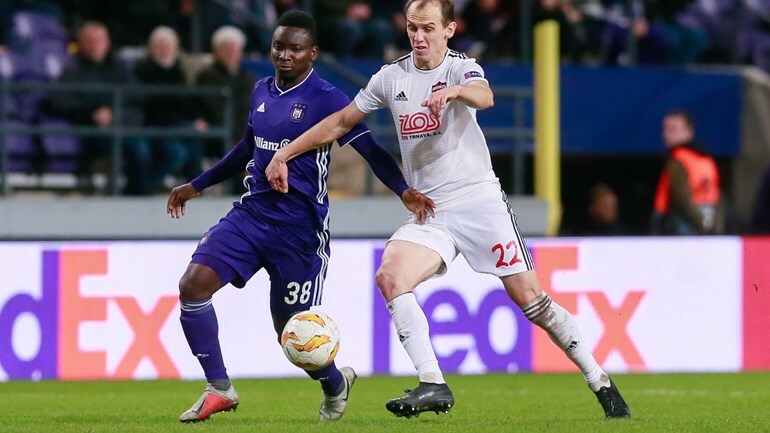 Dauda joined Anderlecht in 2017 from Kotoko.